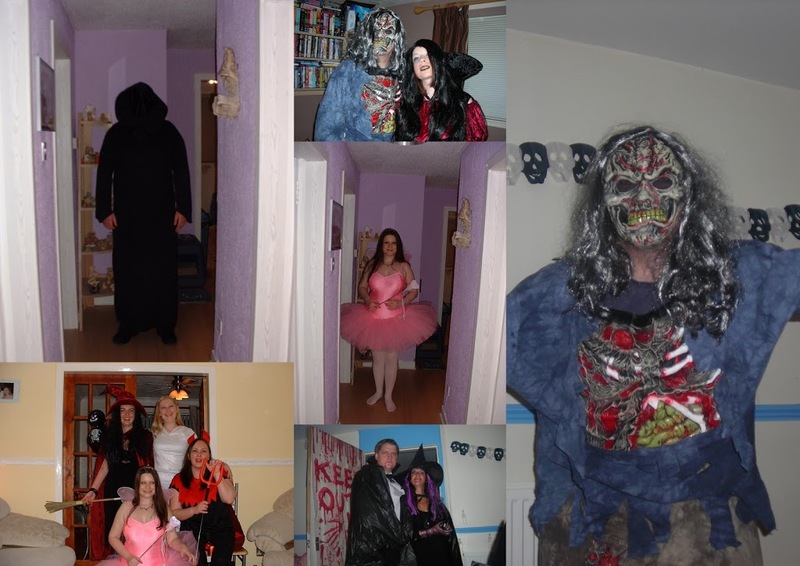 Halloween customs in Scotland mainly consist of children going door to door “guising”dressing up and offering entertainment of various sorts in return for gifts. Halloween parties consist of various games, for instance ‘Dooking fur aiples’ where the children had to bite apples floating in a basin of water, once they had one by the teeth they could retrieve and obtain it. Another game is ‘treacle scones’ where children had to eat a scone covered in treacle hanging on a piece of string. 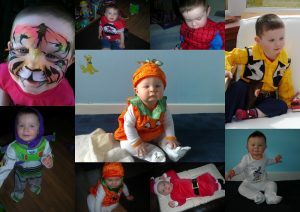 Here are some of the costumes my children have worn for Halloween. 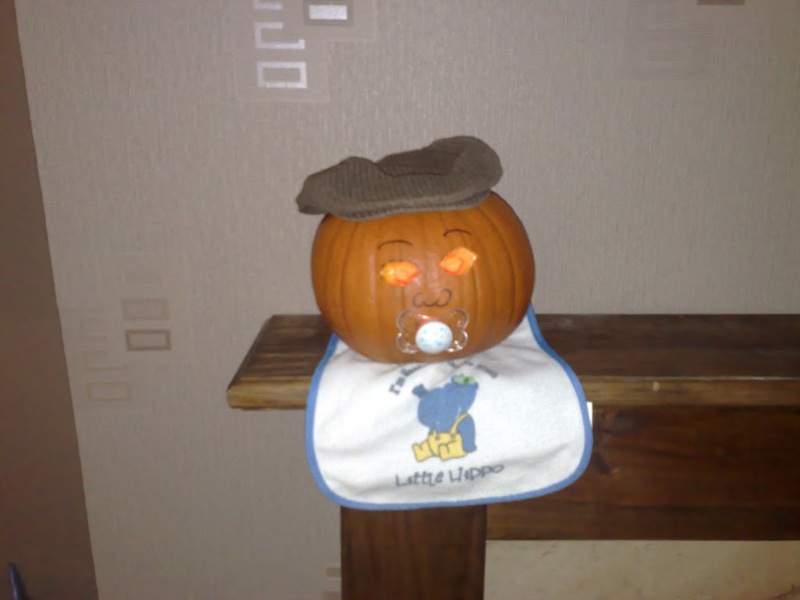 When it was Lucas’s first Halloween, I dressed him up as a pumpkin, see the photos above and I dressed up a pumpkin as him. 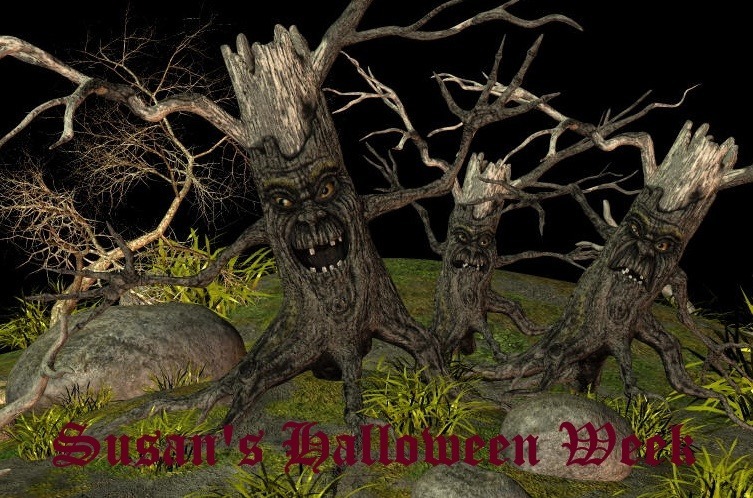 Do you have any Halloween Traditions? Love the dressed up pumpkin!We have no traditions as yet as Halloween was never big in SA, but for the last two years since we moved to the UK we've gone to a party at a soft play centre which was loads of fun. We may dress up tomorrow night to freak out the neighborhood kids who come trick or treating! I LOVE that you dressed the pumpkin up as the kiddo- adorable!Following from the hop!Come check out my new blog, The Review Review, or my other blog, Dinner With Kir. I look forward to seeing you!